If you have darker skin, you should treat acne immediately, but with gentle disinfectants. Acne bacteria do not cause acne inflammation. The immune system’s response to them does. You can fight inflammation before it ever starts by keeping pores open. Different skin types need different treatments. The darker your skin, the more important it is both (1) to fight acne infection as soon as you see it but also (2) to avoid irritating the skin in the process. “Calming” the skin helps reduce inflammation on fair, dry, tight skin. Hydrating the skin is useful for Asian skin. African-American and Hispanic skin types require immediate treatment of pimples as soon as they are seen, but with gentle disinfectants. Acne bacteria usually get the blame for acne inflammation, but they do not really injure the skin. Instead, they secrete chemicals that make surrounding skin cells sensitive to inflammation generated by the immune system itself. Destruction of the skin gives them an escape route to travel to new home. In fact, small numbers of acne bacteria are actually beneficial to the skin. The skin makes sebum to keep itself flexible and to keep itself from drying out. Many of the things people to do “dry out” their acne actually increase the production of sebum, swabbing the skin with rubbing alcohol, for instance. When the skin is stressed or stretched or inflamed, sebaceous glands near pores produce more sebum to protect the skin. When the body as a whole is stressed, the brain releases corticotrophin stimulating hormone, which also triggers production of excessive sebum. Acne bacteria feed on sebum to keep it from accumulating faster than pores can transport it to the surface, where it can be washed away. As long as the pore is filled with fresh, liquid sebum, the bacteria can feed and multiply. As sebum ages, however, it releases essential fatty acids. These are beneficial to the skin, but toxic to bacteria. The skin regulates the number of bacteria in pores, keeping the population of bacteria the right size to be helpful—until pores get clogged. It is a common misconception that bacteria in clogged pores irritate the skin. Actually, they don’t. The immune system’s efforts to kill the bacteria that can’t be killed by the breaking down of sebum is what inflames pores and causes acne. The bacteria secrete chemicals that make the skin more sensitive to a substance called interleukin-8. Then when corticotrophin stimulating hormone causes the release of histamine from mast cells in the skin, the interleukin-8 attracts it to the lining of the pores. The inflammation of the pore creates an escape route for acne bacteria to get to the surface and travel to a friendlier pore. Acne inflammation can occur with or without acne bacteria. Stress hormones can also trigger the release of histamine, which reddens and irritates the skin. Any acne treatment that also kills healthy skin cells triggers release of more sebum—which leads to more acne. Worrying about acne bacteria also increases inflammation of the skin. And many children, teens, and adults who have persistent acne understandably worry about their appearance! Moreover, a product that fights acne bacteria on one skin type can cause acne inflammation on another. Asian and African skin types are especially sensitive to detergent cleaners. Anything that generates lots of suds containing big bubbles does remove oil and bacteria, but also injures the skin so it produces more oil that becomes food for more bacteria. People of European descent tend to be especially sensitive to essential oils. White skin responds to stress hormones. Essential oils activate the brain. This can be a good thing in treating many conditions, but if you have fair skin, an essential oil or aromatherapy product that relaxes your brain often excites your skin. If it smells good, don’t put it on your skin! People of Hispanic descent tend to have an all-or-nothing experience with acne. They tend either to have no acne at all, or to develop cystic acne in early adulthood. Products that stimulate the production of collagen in the skin can actually make cystic acne much worse. Acne inflammation leads to discoloration of darker skin. The skin fights inflammation with the pigment melanin. Darker skins have more cells that produce melanin, and tend to overproduce melanin in their efforts to control inflammation. Acne and harsh acne treatments, as well as cuts, scrapes, bruises, and other skin infections, can cause lasting discoloration of the brown or black skin. So How Can You Fight Acne Inflammation? The most important thing to remember about fighting inflammation caused by acne is to treat inflammation, not oiliness or what you believe to bacterial infection. Your objective should always be to have clear skin that feels good, not skin that is free of bacteria or free of oil. Accomplishing this objective requires choosing treatments that are right for your skin type. “Calming” the skin is especially important if you have fair, tight, or allergy-prone skin. Any easy way to do this is with water. A splash of any kind of bottled mineral water (Perrier, Pelegrino, or even Topo Chico) on to the face after you have cleansed it but before you put on moisturizer and make up provides magnesium that slows down the release of stress chemicals in the skin. Certain facial waters also provide sulfur to kill bacteria and selenium to help the skin make antioxidant enzymes, but you want to be sure the facial water contains just water, not any herbs, plant essences, essential oils, or perfumes. Hydrating the skin is especially important—and often overlooked—if you have Asian skin. It is important to avoid alcohol or detergents of any kind, since these dry out the skin. And it is important to lock in moisture with light applications of water-based or even oil-based moisturizers. Fighting acne infection early is important for people who have Hispanic or Mediterranean skin types, and for Black men who shave their heads or shave their beards too close. These skin types repair injuries quickly, often trapping bacteria inside cysts. 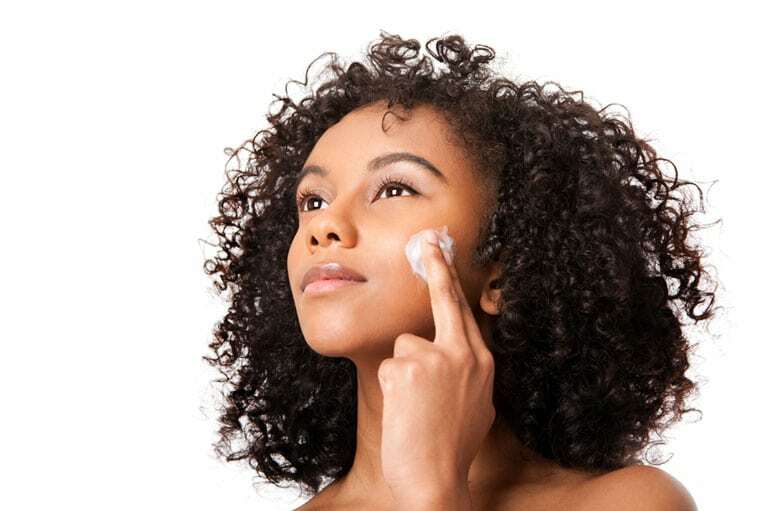 Using a gentle antiseptic such as a 2.5% (or milder) concentration of benzoyl peroxide at the very first sign of a pimple is important in these skin types. But it is also important to avoid treatments that sting or burn the skin, since they can cause discoloration. Some skin types can’t stand peels, but they respond well to lemon juice, fresh-squeezed rather than from a bottle. The lemon juice breaks down oils on the skin, letting acne bacteria escape, reducing the need for inflammation to fight infection. Does all this get a little too complicated? The easiest way to treat acne inflammation is to use a complete skin care system like Exposed Skin Care.